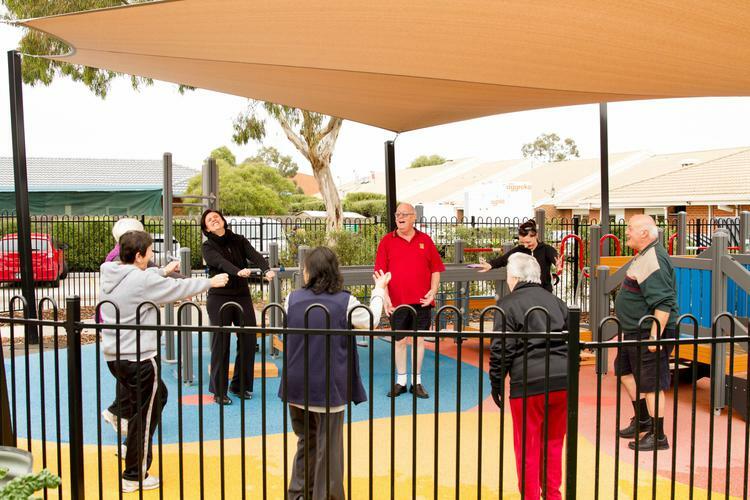 Following its initial study into the benefits of specially designed older adults exercise parks, Victoria University (VU) researchers are looking for partners to participate in the next stage. Specifically designed to improve the strength, flexibility and balance of older adults, these exercise parks are quite common in the northern hemisphere and in parts of Asia, and the results of the first stage of Associate Professor Pazit Levinger’s research team indicate they would be beneficial for older people here too. VU’s initial study, made possible with funding from Gandel Philanthropy, found stimulating and functional activities together with lots of fun and socialising with friends in the great outdoors are just some of the benefits of the parks. Around 35 per cent of people over the age of 65 fall at least once a year, and the effects can be devastating - often resulting in loss of independence and autonomy, decreased social contact, depression and anxiety. Furthermore, the Australian Institute of Health and Welfare estimates that the annual cost of hospital care related to falls is around $648.2 million. The VU research used equipment manufactured by Finnish company Lappset and the park was installed at Villa Maria Catholic Homes’ St Bernadette aged care home in Sunshine North. People exercised in pairs, performing techniques designed to not only keep them active, but also which can be translated easily into daily movements. “For instance, the reaching exercises can translate into reaching to get a cup from a cupboard,” explains Associate Professor Levinger. Several pieces of equipment address each aspect of fitness. For example, participants working on their balance can use a balance stool, a suspended gangway, a balance beam or a ramp and net. Associate Professor Levinger also sees the parks as a means for intergenerational activities, with grandparents and grandchildren having fun and exercising together. “There is investment in good children’s playgrounds, so why not for seniors?” she queries. “Our findings indicate that there is a case for a larger study and we are now looking for partners for the design of the next trial. We would like to get councils, community organisations and aged care bodies involved and organise more sites,” says Associate Professor Levinger. The second, larger stage will also probably involve studying the effects of older adults exercise parks on mental wellbeing. Click here to watch the Youtube video of the park in use.